The most famous Russian tenor repertoire of bel canto will debut in the Gran Teatre del Liceu próximo 13 from December, which it will function day 15, 18, 21 Y 23. Maxim Mironov returns to give life to a character rossiniano, after his acclaimed performance as Il Conte d'Almaviva in a new production of The Barber of Seville firmada por Pier Luigi Pizzi, Rossini Opera Festival in Pesaro last summer. This time; returns to dramma giocoso from The Italian Girl in Algiers to interpret, once again, a Lindoro, role debut in the known direction Dario Fo, premiered at the ROF in 2006, and which has achieved great success in major international operatic festivals and coliseums like Aix-en-Provence Festival, Théâtre du Capitole, Teatro Real in Madrid, Teatro del Maggio Musicale Fiorentino, the Royal Opera House of Muscat, Wiener Staatsoper or the Stanislavsky Opera Moscow, he honored with a "Golden Mask", the prestigious National Theater Award, for his portrayal of love with Isabella. Considered by international critics as the new star Rossini, since more than a decade maestro Alberto Zedda invited him to sing the role of Conte di Libenskof (The trip to Reims, 2005), tenor Maxim Mironov is a regular guest of the Rossini Opera Festival in Pesaro, where he has also been Alberto (Gazette, 2015), y Cavalier Giocondo (The touchstone, 2017). 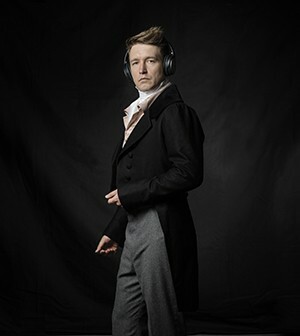 Winner of the prestigious international competition "Neue Stimmen" in Germany, Maxim Mironov has sung at festivals as prominent as the Glyndebourne Festival, and Rossini Festival in Wildbald or el Festival Stressa, and in the most prestigious opera houses, como el Theater an der Wien, Royal Theatre, La Scala in Milan, the Opéra national de Paris, La Fenice in Venice, the Teatro Comunale Bologna, el Théâtre des Champs Elysees París, la Washington National Opera, or the Staatsoper Berlin, among others. He has worked with musical and stage directors of the stature of Alberto Zedda, Michele Mariotti, Bruno Campanella, Vladimir Jurowski, Gianandrea Noseda and, Pier Luigi Pizzi, Dario Fo, or Daniele Abbado. In November, He came to market his latest album project "Questo è Rossini"!, which is sponsored by Fondazione Rossini and comitato Rossini150; a new CD, Maxim Mironov in which a selection of chamber arias Italian composer, accompanied by Richard Barker, pianoforte playing a vintage Pleyel, similar to that used by itself Rossini. Upcoming projects include Cinderella, Teatro alla Scala in Milan, The Barber of Seville at the Staatsoper Unter den Linden in Berlin and La Fenice in Venice, Y Orphée et Eurydice en la Hamburg State Opera y el Festspielhaus Baden-Baden.